On Christmas Eve, thousands of Irish children wait excitedly in their homes for Santa to arrive. They think about their Santa letters, hang up their stockings and run around wildly while preparing milk and cookies for Santa. Last year, almost 400 children were cared for in Temple Street hospital and did not make it home for Christmas. Instead of joining in on the festivities at home, they lay in hospital beds with stockings hung by their beds. 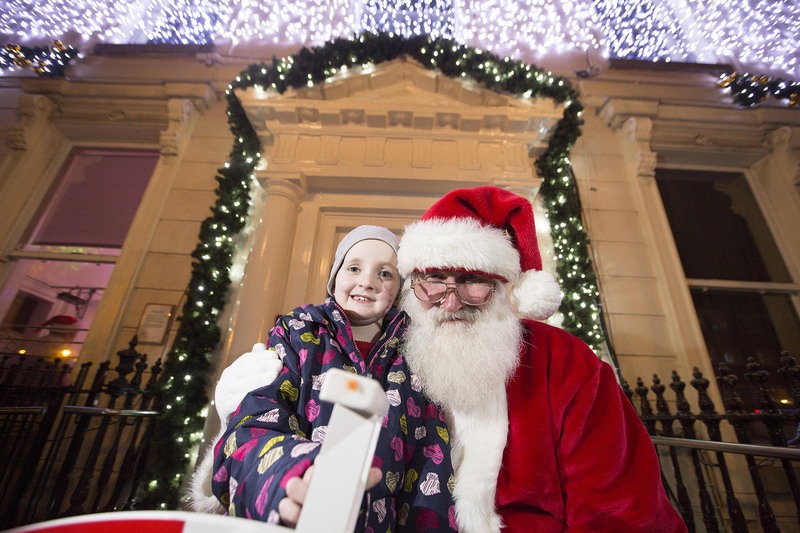 A bit of Christmas magic came to Temple Street last week when six-year-old Izzy O’Connell, who spent three months in Temple Street this year following the removal of a brain tumour, turned on the hospital’s Christmas lights with Santa. Izzy who has been in cancer treatment for 10 months hopes that the lights will bring some hope to the other patients. Instead of tucking their child into bed, trying to peel back the layers of excitement, parents of sick children are just hoping that their child will get better this Christmas. The list on Santa letters becomes meaningless. Instead of Santa tip-toeing across the floors, its doctors and nurses who work hard throughout the night to ensure that their children are cared for. Izzy’s mum, Emma O’Connell, was delighted to see Izzy turn on the Christmas lights. “Last Christmas we were totally oblivious to devastation that was around the corner for us. We, or so we thought, had a perfectly healthy little girl. This past year watching Izzy battle through surgery and endure months of therapy and chemo; it was a nightmare that no parent should ever have to suffer. Today, watching Izzy switch on the lights in the hospital that saved her life, I can’t explain how happy we feel,” she said. It was around Christmas time last year when Emma began to see Izzy’s health deteriorate. Doctors suspected that Izzy had a winter bug, but Izzy seemed more tired than usual. In February, Emma noticed a lump on Izzy’s head and brought her straight to A&E, but was then referred to Temple Street hospital. Within hours, Izzy was fighting for her life in a surgery that took over 11 and a half hours. After the surgery, Izzy lost the power in the left side of her body and had to endure physiotherapy and occupational therapy to help her to walk again. In April, Izzy started 48 days of intense chemotherapy and radiotherapy. Her parents said that she didn’t complain once and always had a smile on her face. To complete Izzy’s treatment she also had to endure six rounds of chemotherapy at home. After three rounds of chemo, an MRI showed a cyst growing rapidly from the tumour in Izzy’s brain and she was taken for an emergency surgery to remove the cyst. Surgeons realised that the tumour was more extensive as part of it was connected to a brain stem. This made the tumour inoperable. Following the chemotherapy, Izzy’s body was much weaker and Izzy lost the power in her left side again. Recovery this time has been a lot slower. Izzy has started her fifth round of chemo, she has six to do in total. Once she finishes her sixth then treatment will be withdrawn for five months to see whether the tumour grows or not. For now, for Izzy and her family, it is a waiting game. It’s because of children like Izzy that Temple Street work tirelessly to bring a bit of Christmas magic to the children’s ward. Each year they launch a toy appeal to ensure that every child in the hospital receives a present from their wish list on Christmas. Temple Street also sell Christmas cards and have a Christmas raffle to try and raise funds in order to make Christmas magical for every child there. Last year from selling Christmas cards alone, the hospital managed to raise over €20,000. This money helped the hospital to buy state of the art equipment, develop new services and to put life back into tired old wards. This year, Tesco, who is Temple Street’s charity partner, organised a Christmas wonderland in the hospital to surprise the patients spending Christmas away from home. They had an Elf Yourself workshop, a Magical Christmas Fair and a Magical Movie Theatre. 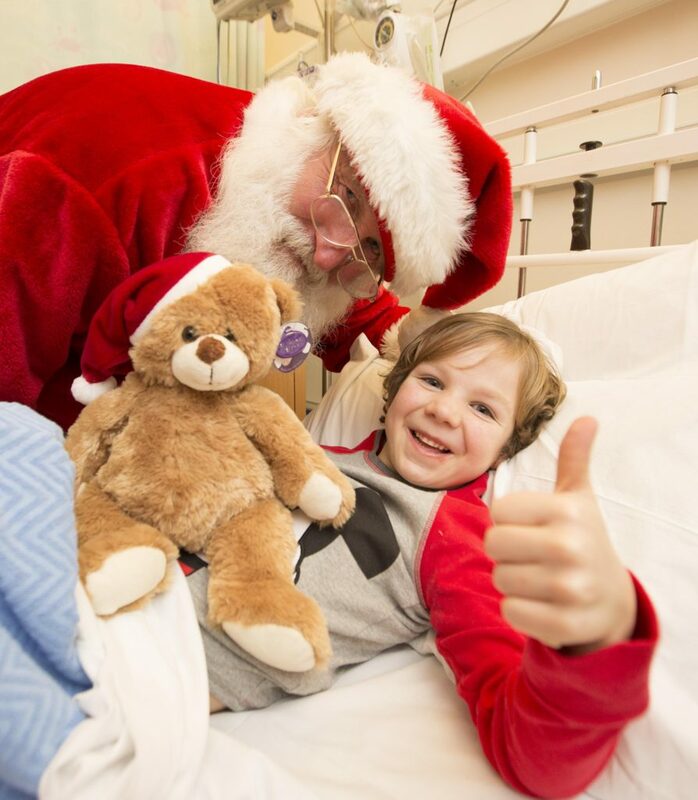 Even though these kids are sick, some fighting for their lives, Temple Street at Christmas distracts them from their illness and allows them to feel like other kids. The hope and light in some of the kids is a bit of Christmas magic in its own.